We are slowly learning more about Universal Studios Beijing, thanks to various vendors who are posting concept art and plans online. 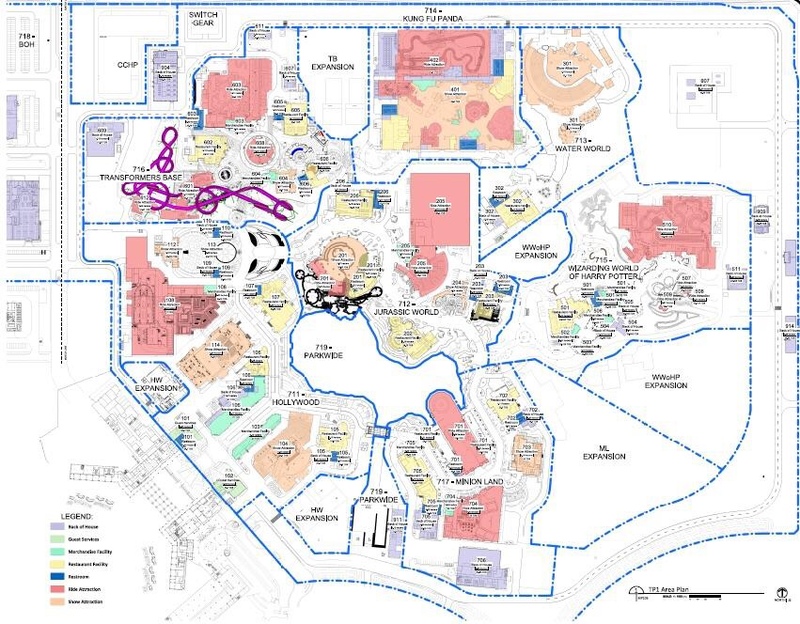 Officially, Universal has been extremely tight-lipped about the plans for USB, but thanks to a ton of artwork posted to ThemeParkX and Reddit, we now have a pretty good idea of its layout, as well as the types of attractions we can expect. As always, until Universal confirms these plans, consider them to be unofficial. As a matter of fact, there is one attraction that has already been shelved from Universal Studios Beijing that is still a part of the plans you’re about to see. We will cover it in a future article here at Theme Park University, but I’m willing to bet savvy readers can figure that out pretty quickly. On to the plans! 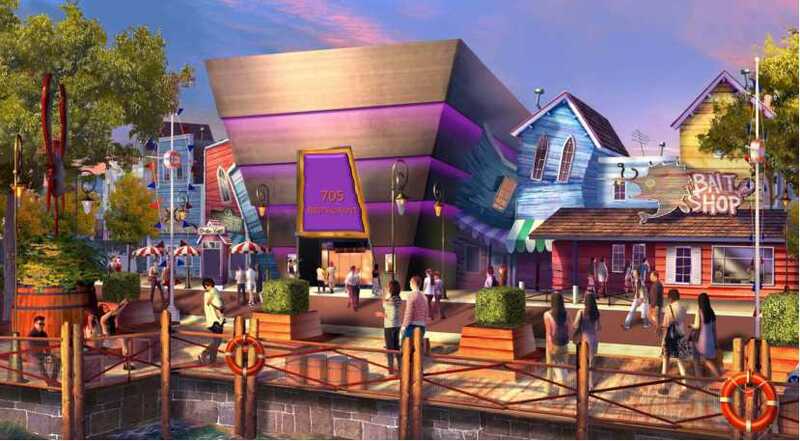 As we have mentioned in a previous article here at Theme Park University, USB will feature new takes on current attractions within Universal’s existing parks. As you can see from the layout above, the park is divided into seven lands with the main entrance in the lower left/southwest corner. 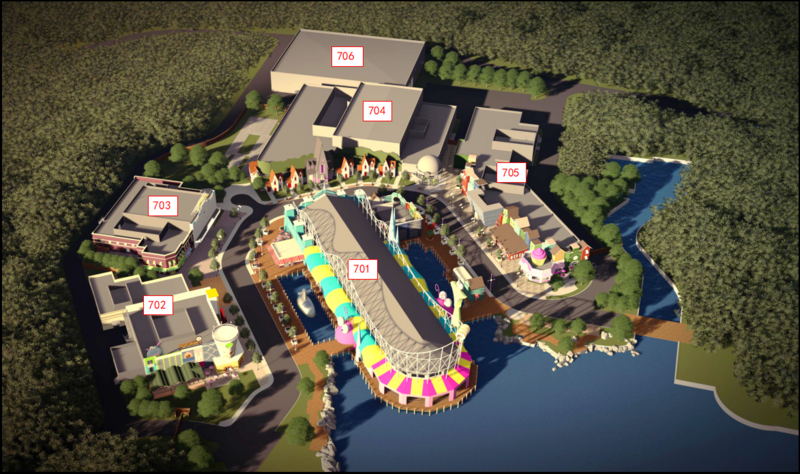 While the park has a decent amount of rides, shows, and attractions already on the roster, it’s important to recognize that there is still a lot of room set aside for expansion. 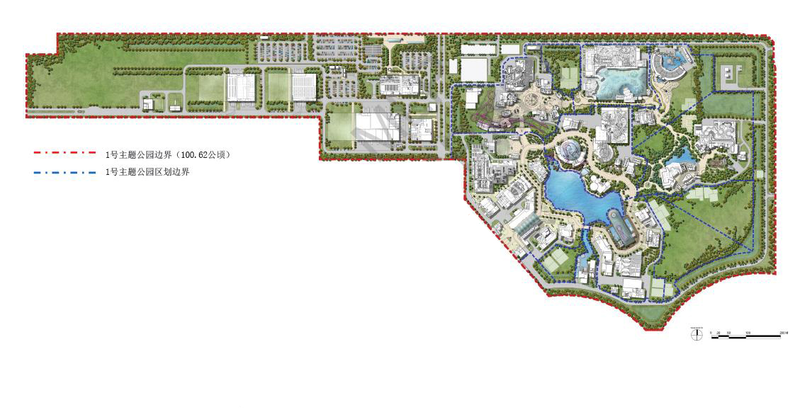 Notice in the plans below, there is clearly a Volcano Bay Water Park just across from USB. While the parks has officially been announced, Volcano Bay has not and is most definitely a second major phase for the property. 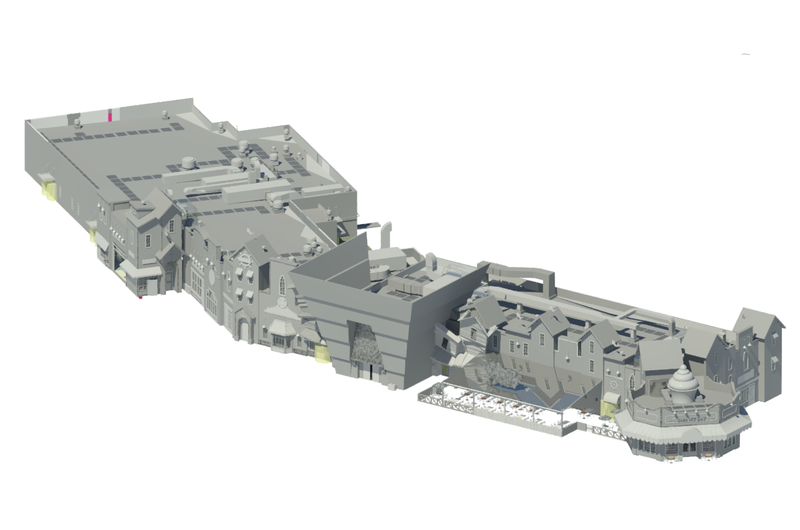 While we don’t have concept art for every area in the park, there is still quite a bit to uncover. Let’s start with Jurassic World! 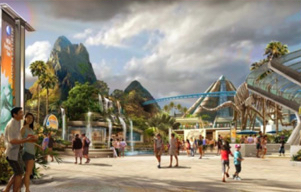 Jurassic World will indeed feature a coaster. 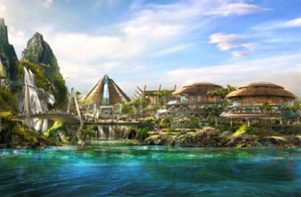 Will it be what is going into Islands of Adventure in 2020? Unfortunately, no. This is an entirely different ride that hugs the terrain extremely well. Most importantly, it recreated the entrance of the “Jurassic World” film very well. Complete with a visitor’s center! Will there be a Margaritaville in this area? Stay tuned! What artwork seems to have leaked the most is the Minions area of the park. While we have seen various versions of Despicable Me represented at the Universal parks thus far, this one looks totally unique and massive compared to previous efforts. At this point, it’s a safe bet that Despicable Me: Minion Mayhem will be duplicated for Universal Studios Beijing as well as a small family coaster and a play area. 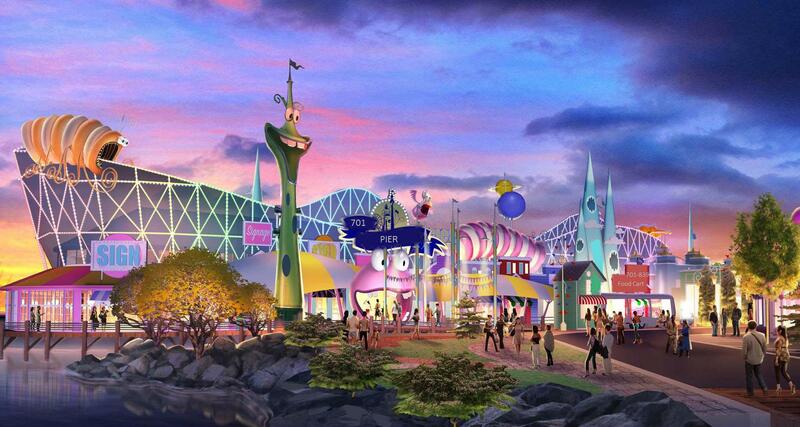 The Minions area is also expected to have a food court with both indoor and outdoor seating. But what about Transformers, Harry Potter or WaterWorld? We actually posted several pieces of concept artwork from that several months ago. And no doubt, more will be available in the months ahead. What do you think? 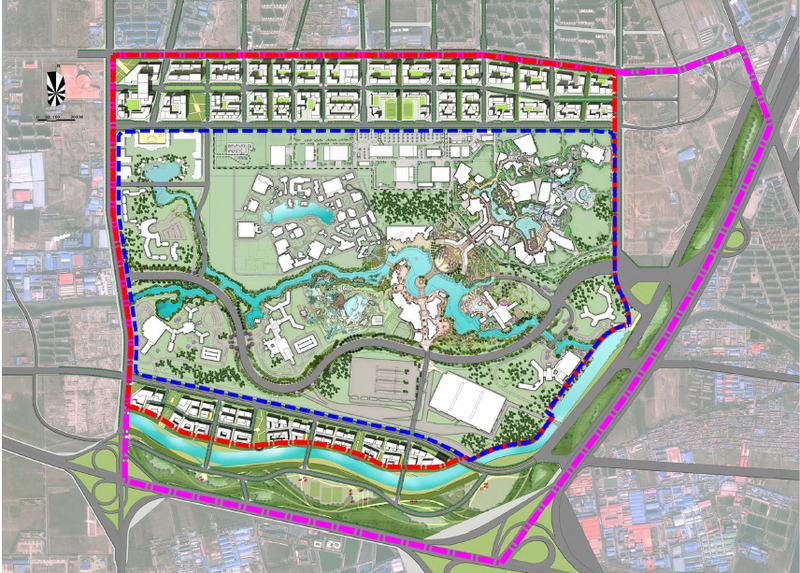 Is Universal Studios Beijing shaping up to be a park you’d visit? We’d love to hear your thoughts! This entry was posted in Universal and tagged Despicable Me, Harry Potter, Jurassic World, Transformers, Universal Studios Beijing. Bookmark the permalink. Trackbacks are closed, but you can post a comment.